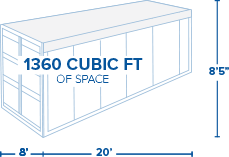 Interport’s 20-foot open-top shipping containers are a convenient solution when items must be loaded and unloaded from above by crane or are too tall to fit in a standard shipping container. The roof bows and tarpaulin on our 20-foot open-top ISO containers are completely removable and can be securely fastened for weatherproof portable storage or intermodal transportation. 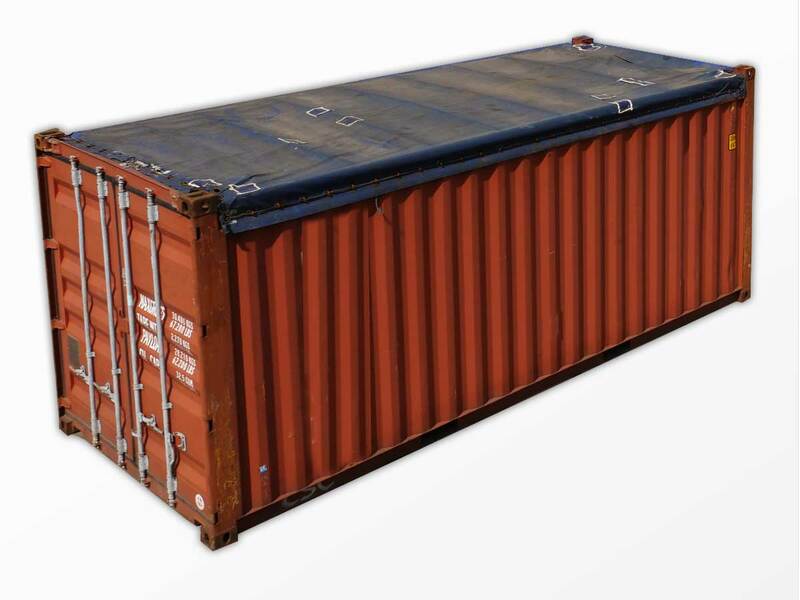 Our 20-foot open-top shipping containers are ideal for bulk grains, recyclables, large generators, engine parts, and much more. Interport offers a large selection of used 20-foot open-top shipping containers, available for immediate sale and next-business-day delivery. Length: 20ft. Length: 17ft. 11in. Width: 7ft. 6in. Gross: 67,196 lbs. Width: 8ft. Width: 7ft. 6in. Height: 7ft. 3in. Payload: 60,141 lbs. Height: 8ft. 6in. Height: 7ft. 5in. Tare Weight: 7,055 lbs. Length: 20ft. Width: 8ft. Height: 8ft. 6in. Length: 17ft. 11in. Width: 7ft. 6in. Height: 7ft. 5in. Width: 7ft. 6in. Height: 7ft. 3in. Gross: 67,196 lbs. Payload: 60,141 lbs. Tare Weight: 7,055 lbs.